The Getty Center is one of few places in the United States where you can see medieval and Renaissance illuminated manuscripts year-round. With three or four exhibitions per year drawn almost exclusively from the permanent collection, in addition to major international loan exhibitions like Imagining the Past in France, 1250–1500 and Illuminating the Renaissance: The Triumph of Flemish Manuscript Painting in Europe, we in the Manuscripts Department are constantly busy envisioning new ways to present this art form to as many visitors as possible—and as often as conservation concerns permit these precious books to be on view. Exhibitions in the manuscripts gallery (North Pavilion, Gallery 105) generally run for only three months because the objects are sensitive to light and the book bindings are strained when left open to the same place for extended periods of time. After an exhibition closes, the gallery is “dark” for two weeks, during which time we rearrange the space and install a new set of objects. We’re currently in a “dark” period, but we’ve devised a system that allows a manuscript to be on view at all times, even between exhibitions. 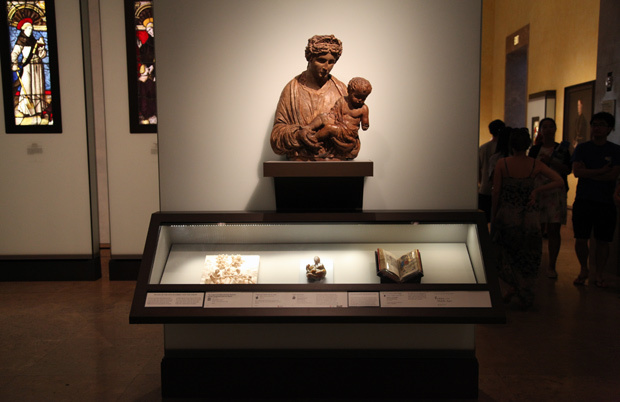 Among the beautifully reinstalled galleries for medieval and Renaissance sculpture and decorative arts in the North Pavilion is a space dedicated to sacred art, with one section presenting objects related to the life of Christ and the Virgin Mary. 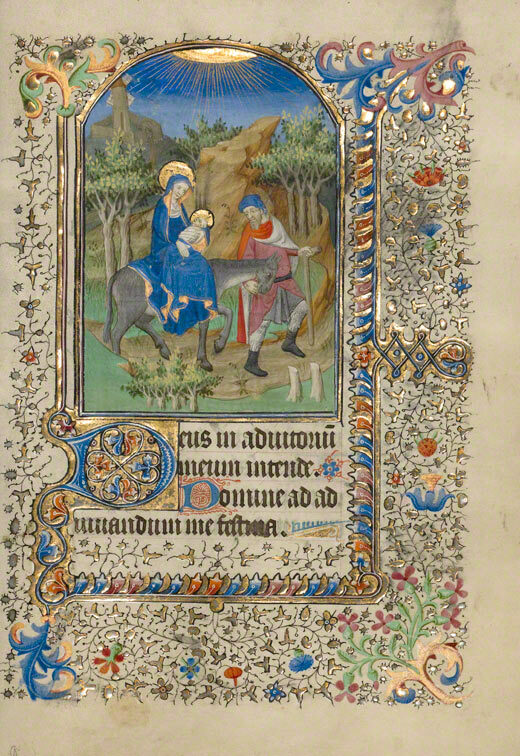 No matter when you visit the Getty, you’ll always find a manuscript on view here. Right now, sharing a case with an extraordinary marble relief showing the Virgin and Child with two saints and an exquisite chalcedony figure group of the Madonna and Child is a manuscript opened to an image that highlights a major moment from the Virgin’s life. 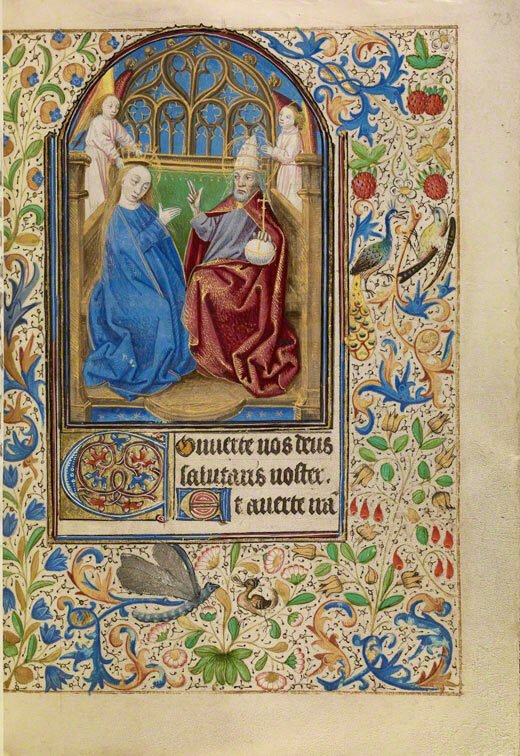 This illumination depicts the coronation of the Virgin and is from a book of hours, a private prayer book for a pious lay person. When possible, the manuscript in Gallery 103 has a thematic link to the current exhibition. In The Coronation of the Virgin, God is dressed as a medieval Pope. The theme of deciphering a figure’s identity or profession based on clues from clothing was explored in our recently concluded show Fashion in the Middle Ages. 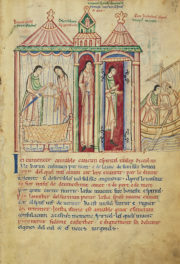 By next Tuesday, when a new Manuscripts exhibition opens—“In the Beginning Was the Word”: Medieval Gospel Illumination—you can expect to find a different manuscript in the sacred art gallery. Stop by the Museum by Sunday to see the current book, and return any time during the new exhibition to find out which of the four Gospels recounts the story of The Flight into Egypt, the next scene set to be on view in North Pavilion, Gallery 103. If you haven’t seen an illuminated manuscript in a while, I hope you’ll stop by! 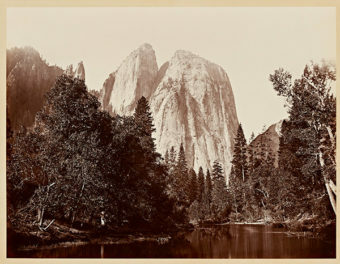 Gosh…these are incredibly beautiful pieces of art that everyone should see before they die!